Welcome to my page! 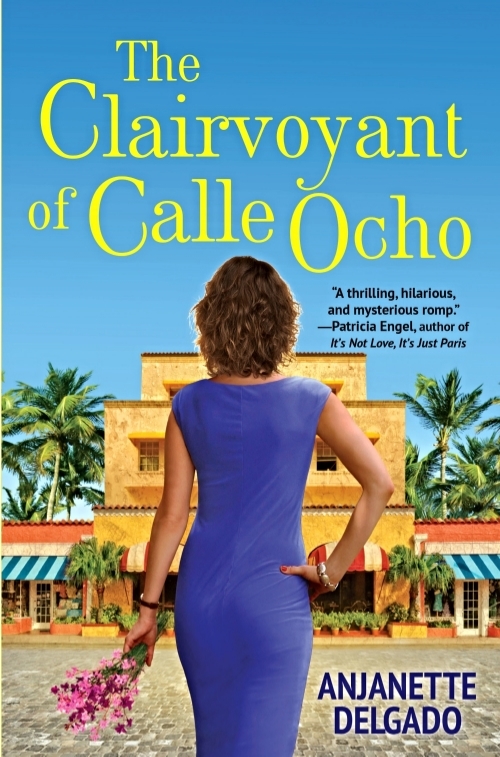 Above is a draft of the cover of my latest novel, The Clairvoyant of Calle Ocho, due out this September, both in English and in Spanish, in the USA, Mexico, and Puerto Rico. Click on the picture for more info on the story and what people are saying about it. Below, you'll see one of my favorite places in the world: my writing space, now featuring a much-coveted-only-recently-found vintage Sputnik Chandelier. Joy! From this small space within my home in Miami, I write stories about modern Latino women fighting contemporary battles of love and heartbreak, work, identity, dreams, and choices. With the lessons come the discoveries that will transform them, their lives, and their piece of the world right along with them. To learn more about my books, click on the pictures below this welcome post, or here. I am also an expert in story-based communications, and speak regularly on the power and effectiveness of telling stories (across different media vehicles) to get your message across and/or to achieve what you want in your everyday life. You can click here for more info on my conferences and workshops. Thanks for visiting!